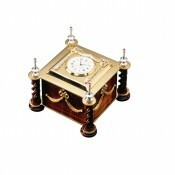 A timepiece befitting a noble desk. 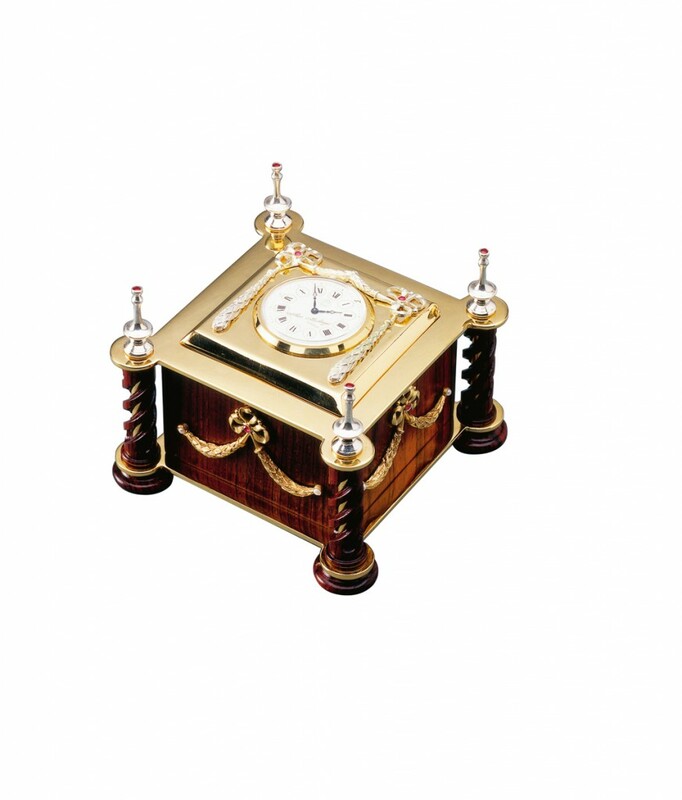 Decorated with a design of vermeil swags and bows, set with faceted rubies and pearls, The Desk Clock eloquently combines a functional quality with Theo Fabergé's aesthetic craftsmanship. The hand turned cocobolo wood spiral pillars, crowned with sterling silver finials encompass the clock. 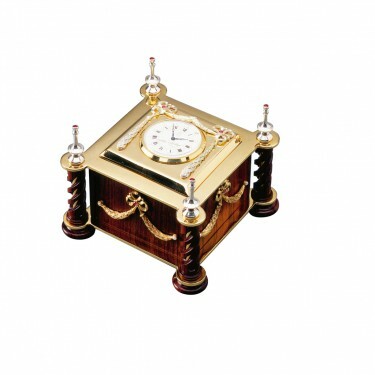 The clock features the Theo Fabergé hallmark and sterling silver mark, as well as a secret compartment. Materials: Cocobolo wood, sterling silver, rubies and pearls.